We’ll be hosting a hub at Schönherz Kollégium for the Online Qualification Round of Hash Code, a team programming competition organized by Google. The Online Qualification Round takes place on February 28th, 2019 at 17:30 and registered teams from Hungary are invited to participate from our hub, which will take place at Schönherz Kollégium (1117 Budapest, Irinyi J. út 42.). Top scoring teams from the Online Qualification Round will then be invited to Google’s office to compete in the Final Round of the competition in April. You’ll then need to select 'GDG Budapest - Schonherz KSZK Hub' from the list of hubs in the Judge System. Registration for Code Jam to I/O for Women is open! 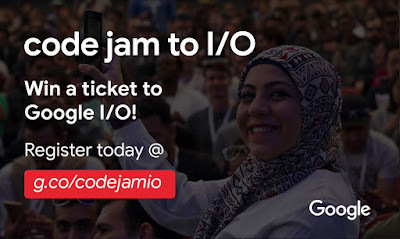 Join us on February 16, 2019 at 15:00 UTC for a chance to win a ticket and travel stipend to I/O, Google's annual developer conference. Register today to participate in the single-online round, where you'll solve Google-designed algorithmic challenges. Join the geekest machine learning enthusiasts on March 6 at the Google office in Budapest. The annual TensorFlow DevSummit takes place on March 6-7, 2019 in the Google Event Center, Sunnyvale, California USA. Let's watch together the video/livestream of the 2019 TensorFlow Dev Summit from the Google office in Budapest and discuss machine learning. As a warmup before the livestream, Kornel Regius (Google Hungary) will talk about the work of Google employees in Hungary. Additional presentations about machine learning / TensorFlow / Google Cloud soon to be announced. The number of attendees is limited to 20. - meet fellow GDG Budapest members and machine learning experts. - Google Hungary - Óbuda Gate Irodaház, 1023 Budapest, Dara u. 1.